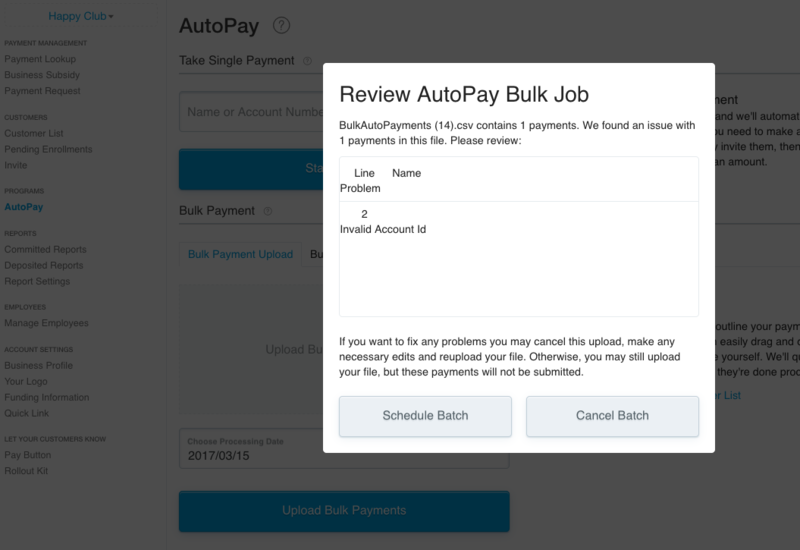 If you are processing Bulk Payments with AutoPay, please note the following about the "Active AutoPay Customer List" CSV file that is downloaded then uploaded back into the Business Portal. 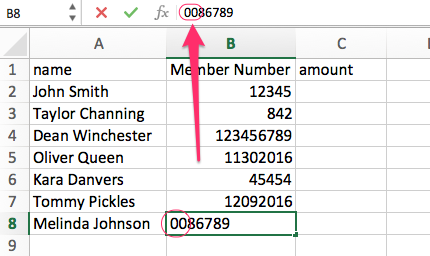 Due to an Excel default, any pre-leading zeros in the Customer ID (e.g. 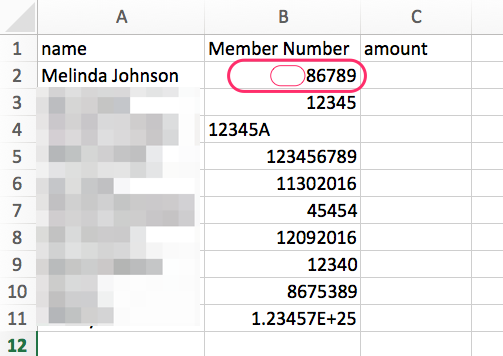 Member Number, Invoice Number, Account Number, etc.) will be deleted. This will cause "Incorrect Customer ID" errors when the file is uploaded into the Business Portal, as the numbers will no longer match. 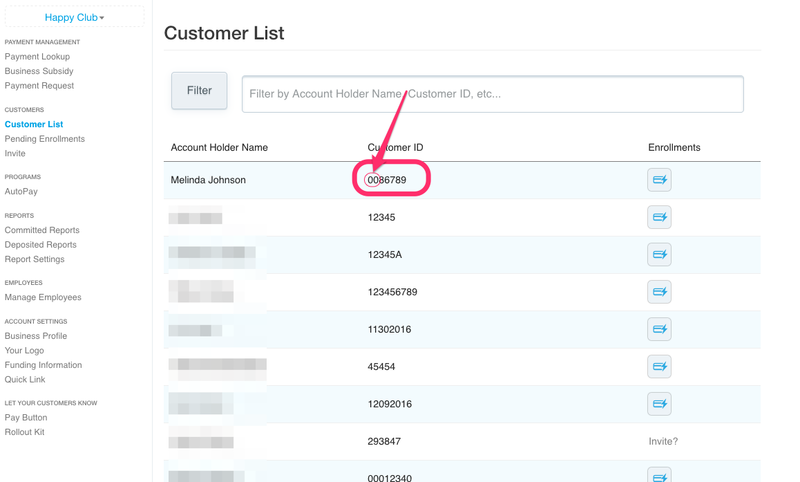 For Example: Here in the Business Portal, you can see this Customer ID has two pre-leading zero's: "0086789"
However, when the CSV file is opened, the two pre-leading zero's disappear: "86789"
Unless the pre-leading zero's are added back in, this will cause an "Invalid Account ID" error when you upload the CSV file. First Tip: It's highly recommended that customers turning AutoPay on omit any pre-leading zeros in their Account Number. (So rather than typing in 0086789, simply type in 86789). 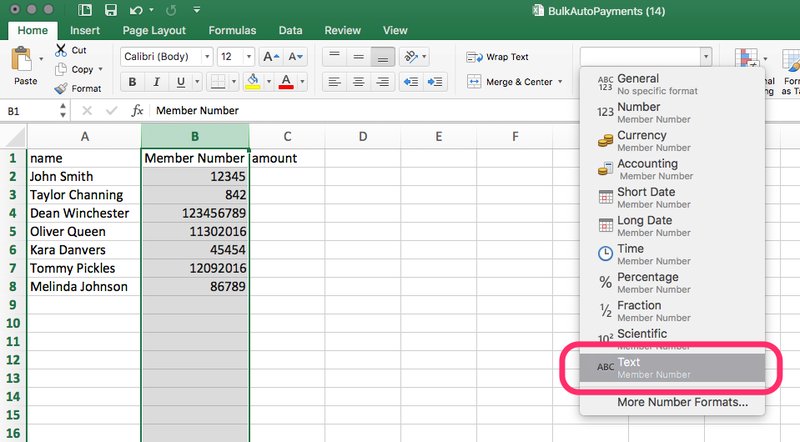 Select the Account ID Column (Column B), and in the "Format" dropdown, select "Text"
Be sure to "Save" the file, then upload it back into the Business Portal. Note: If you save the file, close it, and re-open it, the pre-leading zeros will be erased again. 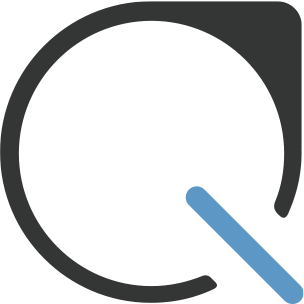 If you currently have customers with pre-leading zero's in their Account ID and would like to have them removed, for easier bulk payment processing, please email the customer's email address and Account ID to business@plastiq.com, and we'd be happy to update the AutoPay enrollment for you.